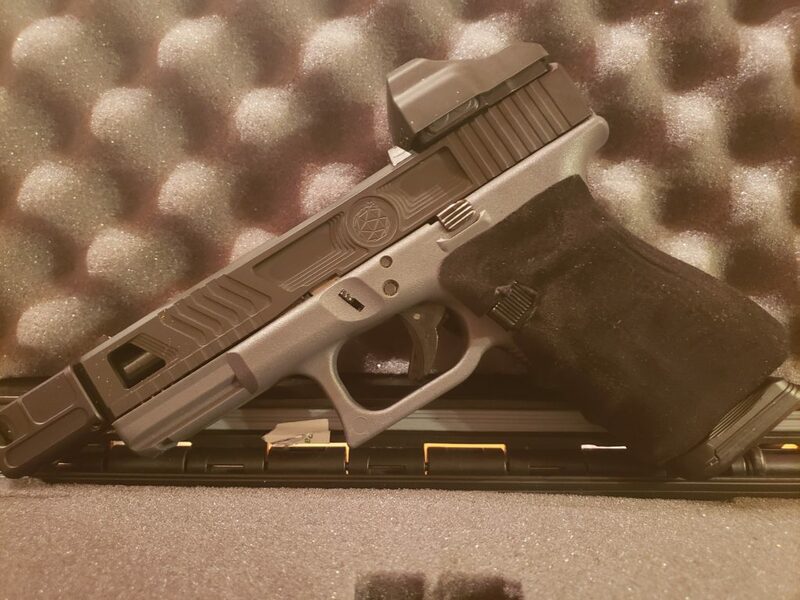 With this review, I got the chance to give this new grip for my Glock 19 a shot. The company is called Brooks Tactical. The company really isn’t that well known when it comes to their image with the public, but I was more than excited to give them a shot when it came to this product. The product that they provide is something called an A Grip. The A Grip is something that allows the user, an extra amount of grip to their pistol especially when hands are wet. When I was sent this grip from Brooks I noticed that there was a few different things that had caught my attention when it came to these. Included with the grips themselves was alcohol swabs (recommended to clean the frame before installation), some directions, and a pamphlet. When it came to the directions of the grips, they were pretty vague so I went to find other individuals who posted these videos of the grips before to find a good way of installing the grips. For the installation process, they do recommend that you clean the frame with an alcohol swab so that the grips do stick better to the frame. After cleaning the frame with the swab, I attempted to install the A Grip. In an attempt to install the grips I first begun with the center of the grips on the back of the frame. This way I would be able to wrap the grips around the frame. Something that caught my eye was that when I attempted to do this, the grip didn’t line up to the frame. The grip was not even and did not fit well to the back of the frame at all. Now when it comes to doing things like this, I am very particular on how I go about things. I took the chance and continued on with what I was doing with this grip. 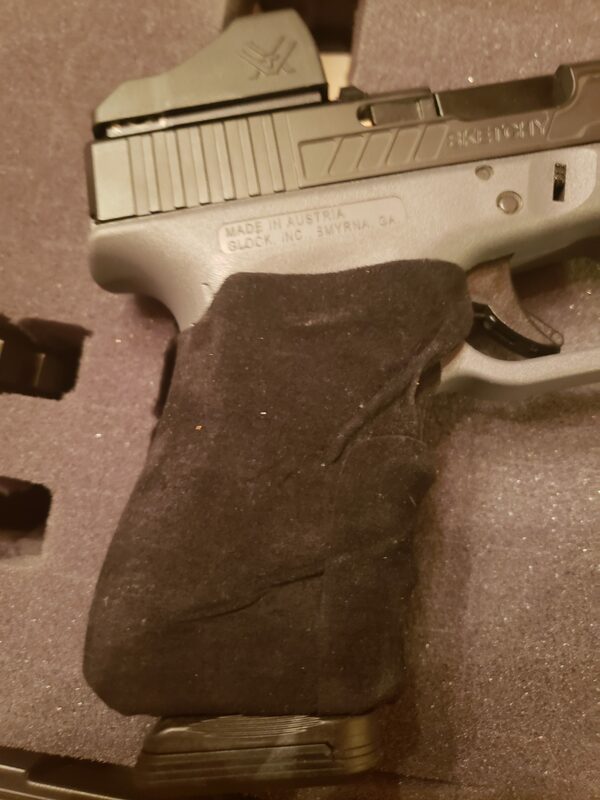 I had to make sure everything was extremely smooth when it came to installing this grip to my Glock. It seemed to me that no matter what I did, there was always something wrong when it came to the installation, so after a few tries I was able to make sure that the it was able to wrap around the frame completely. After I was able to get the grip wrapped around the Glock completely, I noticed that it did bunch up when it came to overlapping a bit. You can tell where the ends wrap over one another, and there was a good bit of cutting that I needed to do to make sure that it wouldn’t hang over the magazine well. Once I got this grip on the best I could, I did do some draws and handled the pistol a bit to see how I would feel holding it. The grip did feel somewhat smooth in my hands. It really didn’t do anything for me though, I prefer the frame to be stock or stippled. 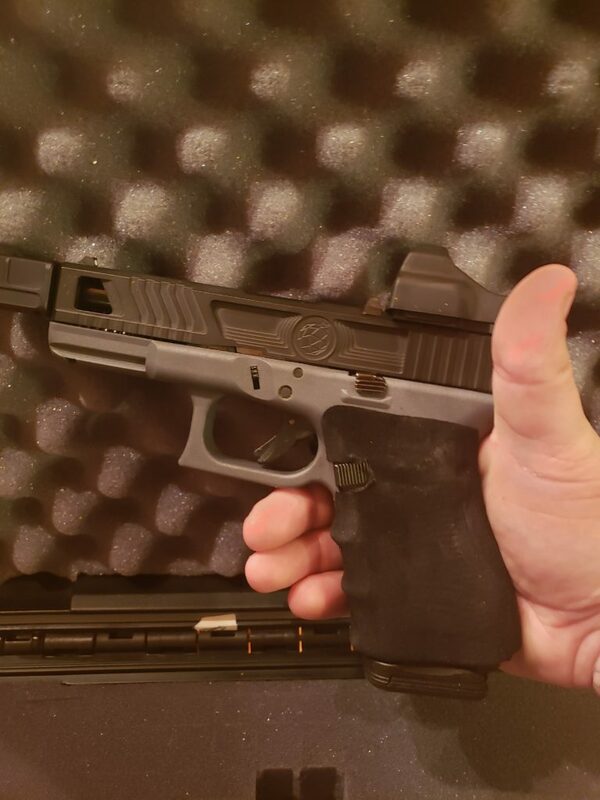 If I did want to use something other than grips, I would use gloves to be able to get a better handling on my pistol. All in all I was extremely unimpressed with this grip from Brooks Tactical. It did not fit right on to my Glock 19. Even though I had to cut and do some adjustments to the grip itself I was hopeful that it would turn out better than I hoped for. 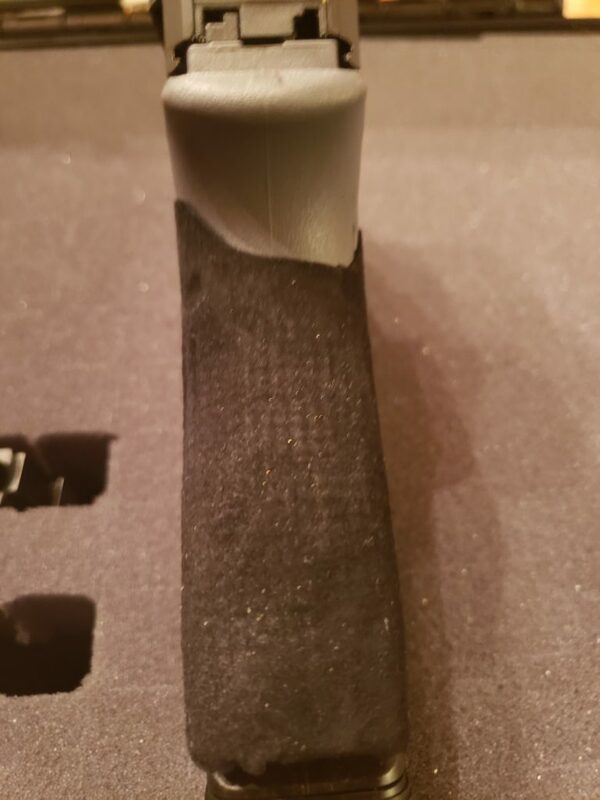 After this experience with the product, I decided that these grips weren’t for me.